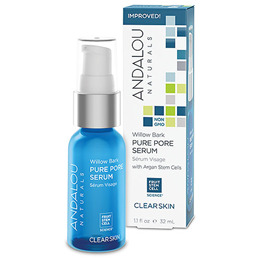 Below are reviews of Andalou Willow Bark Pure Pore Serum - 32ml by bodykind customers. If you have tried this product we'd love to hear what you think so please leave a review. Fruit stem cell complex with argan stem cells, willow bark and salicylic acid help purify pores, curb bacteria, absorb excess oil, and fade the appearance of post-blemish pigmentation.